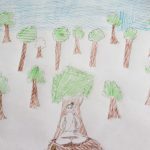 As children everywhere around the USA return to school and to all their weekly classes, (including Gopa Kuteeram classes conducted by GOD), mothers everywhere are busy planning their young children’s ‘future’ so to speak. What classes do they attend? What do they learn? What skills do they focus on? A young child is all ears and eyes for its mother. What the mother says – about the child, about the world, even about others – goes in. What the mother does – her attitudes and outlook – goes in. 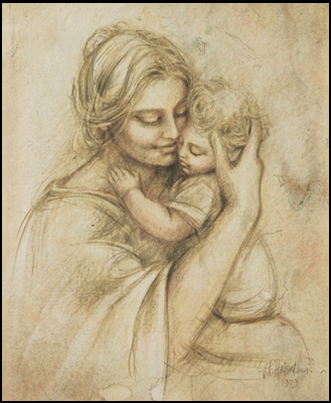 In essence, the mother is the first guru of a child, simply by being the mother! The interesting story of Queen Madalasa is narrated in the Markandeya Purana. 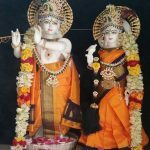 Madalasa was the queen of King Ritdhvaj. 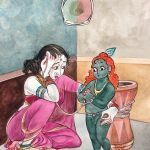 When their first son Vikrant was a baby in the cradle, the hands of the mother Madalasa rocked the cradle even as she sang words of Jnana to calm the crying baby. ‘suddhosi’ means ever-pure, immaculate; ‘buddhosi’ means ever-awakened, illumined; ‘niranjanosi’ means spotless. So she sang, “O child, you are a pure soul with no real name. Your body is merely a vehicle made of the ‘pancha kosas’. Why do you cry, my son, when you are the blissful Atman and not the body?” She fed the child with the milk of wisdom. As she suckled the baby her thoughts were ‘you are the pure Atman’. Madalasa was herself a Self-Realized soul hence her words had great effect on the baby. As she kept illuminating her little son with spiritual knowledge through her cradle songs, the son grew up with wisdom. The young prince, highly dispassionate, left the kingdom and moved into the forest to engage himself in severe penance. A second son was born to Madalasa who was named Subahu. Madalasa brought him up in the same way as she had her first-born. 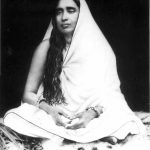 Subahu also grew into a great renunciate and left home in search of jnana. The same happened with Shatrumardan the third son. The king was deeply concerned about the way his sons were giving up the kingdom and going away into the forest. “Who will take care of the kingdom after me?’ was the constant worry of the king. He, therefore, told his queen to spare their fourth son for him so he could take up the reigns of the kingdom after him. With the king’s permission she chose the name for their fourth son. She named him ‘Alarka’. To this son Alarka the mother Madalasa sang songs of valor that would make a great warrior king of him and enable him to protect his kingdom and make it prosperous. In him she sowed the seed of care for others. She taught him to regard other women as his mother and to think of the Lord to destroy wicked thoughts. Thus Alarka grew up to be a righteous king and a mighty warrior. Mother Madalasa demonstrated that a mother wields great influence over the child from the start and imparts noble thoughts. 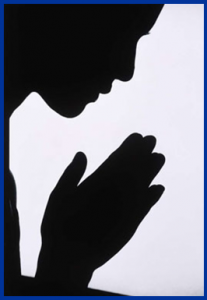 She guides his life towards righteous living – be it spiritual or worldly. As mothers, let us be aware of our immense responsibility in bringing up our children, moulding their attitudes and behavior, and most importantly, rendering them spiritually strong to lead a fear-free life of love and happiness. 3 Responses to "Mother Power"
Our ancient books contain valuable pearls of wisdom. I think we are ignorant of this wisdom, having lost ourselves to purely materialistic thoughts.